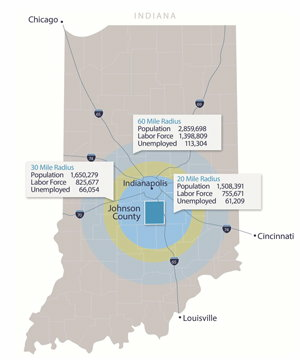 Johnson County is a dynamic and diversified marketplace which has skilled workers to fit your needs. The workforce that supports your facility is a key factor to your success. Johnson County not only has access to a large recruitment area, but we have lots of resources to help you gain, maintain and excel your team. Travel time in the Johnson County Region is 1 mile=1 minute, a great asset to employers when recruiting their workforce. Central Nine - Johnson County offers great vocational and trade school options. The Central Nine programs are among the best available and can be held onsite at your facility. WorkOne - Perhaps the best kept secret in Indiana is the excellent training provided by the Offices of the Department of Workforce Development’s WorkOne system. In addition to testing and assessment for industry, training and skills enhancement courses are ongoing and can be tailored to the needs of specific industry. Ivy Tech Community Colleges - A great resource for our local companies, Ivy Tech offers standard state wide programs in addition to customizing a plan to your specific training needs. 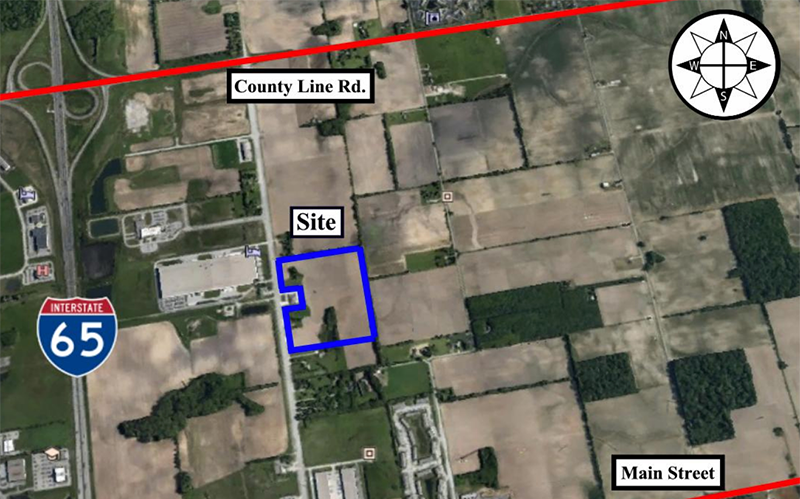 The Franklin Campus allows close proximity to your company in Johnson County for your specific training needs. Aspire Johnson County received a grant in partnership with Central 9 Career Center to create the Work Ethic Certification program. We teach our high school students the employability skills needed in any career. The Johnson County Development Corporation is supporting a pilot program that matches local companies with Greenwood Community High School students. Indiana INTERNnet is a free online resource connecting employers and students for internship opportunities. Employers may post an unlimited number of internships, access the intern candidate database and contact students for free.